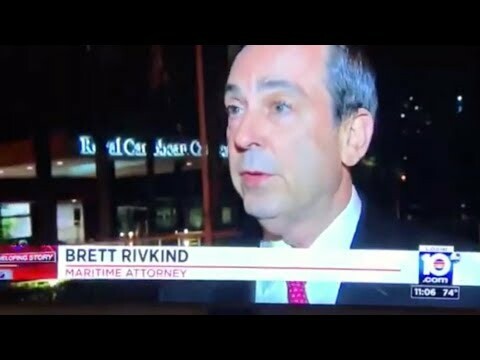 In the News | Miami, Florida Maritime Accident Lawyers Rivkind Margulies & Rivkind P.A. Contact Miami, Florida Cruise Ship Injury Lawyer Rivkind Margulies & Rivkind P.A. Since 1983, our attorneys at Rivkind Margulies & Rivkind P.A. have handled many different types of accidents and injuries related to all types of water crafts including but not limited to cruise ships, recreational boats, yachts, commercial vessels, diving boats, personal watercrafts and jet skis. In addition, our Miami-based personal injury and wrongful death law firm has represented those injured or harmed in accidents on land related to medical malpractice, premise liability, travel and resort injury, products liability, and car accidents. For a more detailed list of the practice areas of Rivkind Margulies & Rivkind P.A., please visit our Practice Areas page. This page is meant to offer some general information about our firm, including a lengthy list of cases we are currently working on and have worked on in the past, news articles we have been featured, awards we have received, and other firm news. 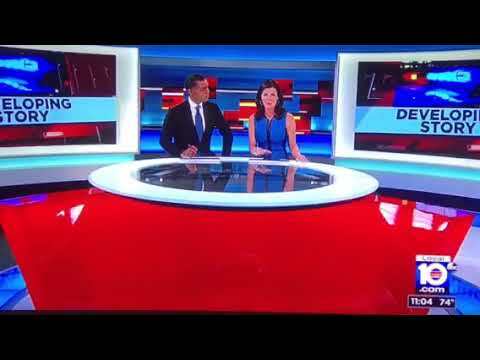 Our lead maritime attorney Brett Rivkind was recently interview by Channel 10 news talking about the deadly bus crash in Mexico and some tips do do before taking a shore excursion. Brett Rivkind interviewed on CBS News regarding the horrible shore excursion bus crash accident involving cruise ship passengers in Mexico. Eleven passengers were killed in the bus crash during the excursion sold by Royal Caribbean and Celebrity. We are currently handling a similar type of case against the exact same cruise ship company involving a tour bus accident in New Zealand.There are dangers associated with excursions the cruise lines do not warn about or do enough to address them for the safety of their passengers. Rather, they promote, sell and profit from these excursions and insist passengers only buy excursions from them. Cruise ship lawyer Brett Rivkind has filed suit against Celebrity Cruises for the critical injuries passengers suffered in a tour bus accident during a New Zealand cruise excursion. The same cruise ship was involved in a deadly tour bus accident on Tuesday during a Mexican cruise excursion. Passenger hires Brett Rivkind to pursue a claim for compensatory and punitive damages against Norwegian Cruise Line for serious personal injuries which occurred on the Aqua Loop water slide. While another passenger was still inside the enclosed slide, the passenger was propelled at a high rate of speed down the waterslide, resulting in a collision causing passenger to be seriously injured. Brett Rivkind hired by family of couple killed during Amazon River cruise. In a recent people.com article, seven cases of homicide or missing people involving cruise ships are discussed. This includes a discussion on the George Smith case titled Honeymooner Goes Overboard: Accident or Foul Play? Our office represented his family in their case against Royal Caribbean Cruise Lines. Miami maritime attorney Brett Rivkind hired by Italian crew member to bring a claim against cruise line for serious personal injuries and psychological damages as a result of a rescue boat plummeting to the sea during a safety drill. Man killed in jet ski accident. Fort Lauderdale lawyer Brett Rivkind hired by wife to represent family. Cruise ship passenger hires Brett Rivkind to bring a claim against Carnival Cruise Line for sexual assault suffered. Passenger on board a Disney cruise ship drowns at Castaway Cay, Disney’s private island. Brett Rivkind retained by wife as counsel. Brett Rivkind got a stay lifted in a bankruptcy court, allowing a seaman to be able to pursue his Jones Act case in federal court with a jury trial. Brett Rivkind receives an arbitration award believed to be the largest amount awarded to crew member who suffered similar types of injuries. Serious accident on a well-known J/160 sailing yacht named the Pipe Dream, which embarked on a transatlantic voyage, leads to lawsuit filed by attorney Brett Rivkind against owner of sailboat for improper supervision and instructions to the crew. UK ship officer hires Miami and Fort Lauderdale cruise ship attorney Brett Rivkind to bring a case against Princess Cruises when he suffered career-ending injuries from a life boat drill, which resulted in the life boat plummeting to the sea. Brett Rivkind obtains an important ruling in the Federal District Court of the Virgin Islands requiring defendant to provide the report of their medical expert in accordance with Federal Rule 35 governing compulsory physical examinations, rejecting defendant’s argument that the medical report did not have to be provided until expert reports were due pursuant to Federal Rule 26 disclosures. Brett Rivkind hired by family to pursue wrongful death claim against Royal Caribbean on behalf of their 21-year-old son. The victim fell overboard after being over-served alcohol, and there was a significant delay in implementing rescue efforts. Brett Rivkind secures a record jury verdict, awarding $6.3 million dollars against Royal Caribbean Cruises for a back injury sustained by crew member, which was named as the number 1 verdict in 2013 for admiralty and maritime cases. Passenger hires cruise ship attorney Brett Rivkind to bring a case against Royal Caribbean Cruises for injuries suffered during a FlowRider activity on board the cruise ship. Brett Rivkind represents family of girl who fell overboard from a Royal Caribbean International Cruise Ship. Passenger who was overserved alcohol hires Miami maritime attorney Brett Rivkind to bring a claim against Carnival Cruise Lines for sexual assault by other passengers. Brett Rivkind hired by Irish family to pursue claim against company for overserving alcohol to a 15-year-old minor, resulting in minor falling overboard. *This is not a complete listing but rather a sample of some of our current and past cases. We are happy to share more details of our vast experience with handling admiralty and maritime cases during your free consultation.